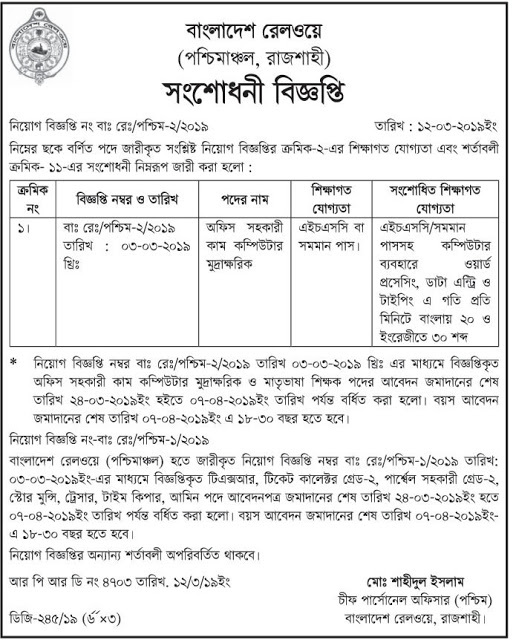 Application Process: By completing the application form, the application must reach the office of "Chief Personnel Officer / East, Bangladesh Railway, CRB, Chittagong". Application deadline: April 08, 2019 will be able to apply. 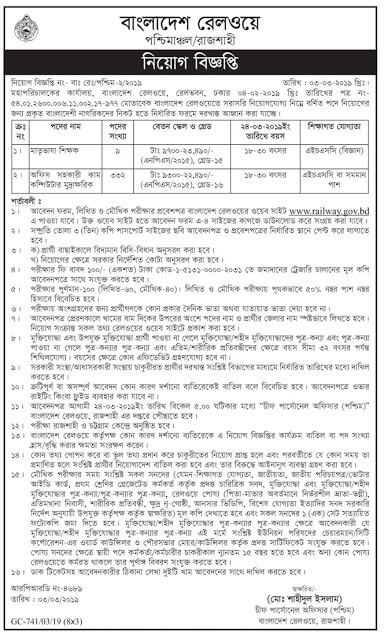 Application Process: By completing the application form, the application must reach the office of "Chief Personnel Officer (West), Bangladesh Railway, Rajshahi". Application deadline: You can apply on March 24, 2019.